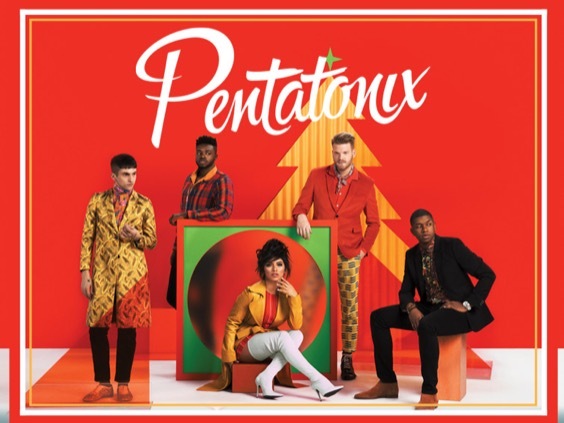 This year has brought a lot of changes for music sensation Pentatonix, but one thing has stayed the same: their annual release of Christmas music. The a capella group released their fourth holiday album, “Christmas Is Here!” on Oct. 26 and its lead single, “Making Christmas,” was posted a month before. Considering how much I enjoyed their work in the past, I had complete faith in the group’s ability to deliver high quality performances and memorable covers. “Making Christmas” is originally from the soundtrack of the animated film “The Nightmare Before Christmas,” and has become one of its most well-known songs. While Pentatonix’s version is a more intense, fast-paced version, their cover retains the original’s unsettling undertones and dark humor. Fans were quick to praise the group’s lively interpretation, and it definitely succeeded in drumming up attention for their album release. The group’s previous Christmas albums contained a mix of original compositions and covers of Christmas classics, and this one is no different. Additions to their cover repertoire include “Here Comes Santa Claus,” “Sweater Weather,” “It’s Beginning to Look Like Christmas,” and “Rockin’ Around the Christmas Tree.” The last one’s upbeat harmonies and iconic lyrics made it a personal favorite of mine, but all of the covers were enjoyable in their own way. Kevin Olusola, their resident beatboxer, is the backbone behind most of their music, and this song demonstrates the variety of rhythms and complex beats he performs so skillfully. This album is sure to be a staple in your holiday playlist if you give it a chance. I always notice a new detail in their music, and the little things make their music even more heartfelt and meaningful. All things considered, it’s clear that Pentatonix has succeeded in brightening the holiday season with their music.